The Emotional Life of Your Brain is the new book by Richard J. Davidson. Richard J. Davidson is professor of Psychology and Psychiatry at the University of Wisconsin–Madison. Davidson’s research is focused on cortical and subcortical substrates of emotion and affective disorders, including depression and anxiety. Participants in imaging experiments include normal adults and young children, and those with, or at risk for, affective and anxiety disorders. Techniques used include quantitative electrophysiology, positron emission tomography and functional magnetic resonance imaging to make inferences about patterns of regional brain function. A major focus of his current work is on interactions between prefrontal cortex and the amygdala in the regulation of emotion in both normal subjects and patients with affective and anxiety disorders. Dr. Davidson hopes to help get out the message that based on what we know about the plasticity of the brain, we can think of things like happiness and compassion as skills that are no different from learning to play a musical instrument, or training in golf or tennis. Happiness, like any skill, requires practice and time but because we know that the brain is built to change in response to mental training, it is possible to train a mind to be happy. Outlook: how long you are able to sustain positive emotion. Social Intuition: how adept you are at picking up social signals from the people around you. Self Awareness: How well you perceive bodily feelings that reflect emotions. Sensitivity to Context: how good are you at regulating your emotional responses to take into account the context you find yourself in. Attention: how sharp and clear your focus is. Our emotional fingerprint results from where on the continuum of each style we fall. 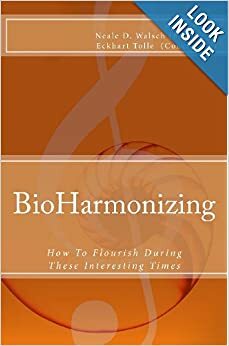 He explains the brain chemistry that underlies each style in order to give us a new model of the emotional brain, one that will even go so far as to affect the way we treat conditions like autism and depression. And, finally, he provides strategies we can use to change our own brains and emotions-if that is what we want to do.